When speaking about the consequences of climate change, people often forget about the fact that it does not only affects the landmasses of our planet or our atmosphere, but also something that is probably one of the most important resources that we have – our oceans. 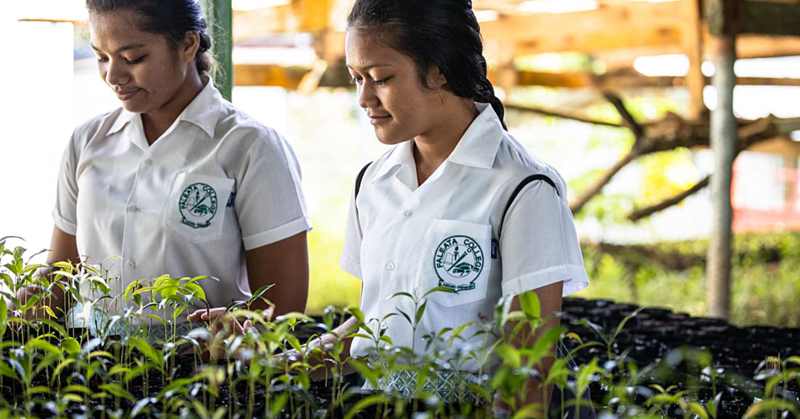 To make people aware of this often embezzled fact during all the climate change summits that are held on our planet, Dr Margaret Leinen, an award-winning oceanographer and researcher in paleo-oceanography visited the National University of Samoa. 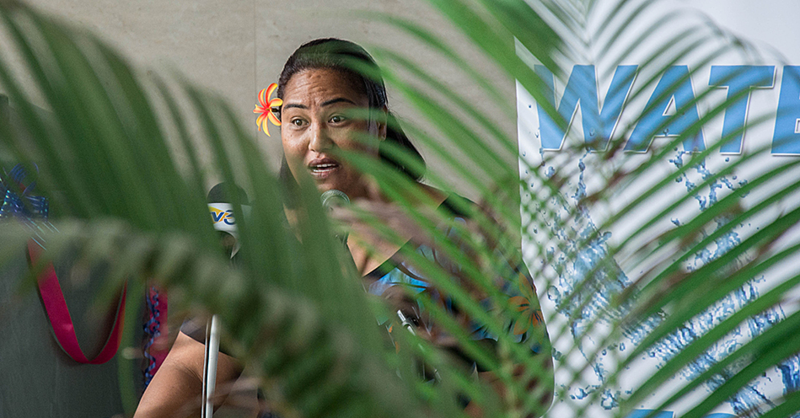 With the support of the United States Embassy, she raised concerns about the recent developments that are changing our oceans. In her presentation in front of both, different faculty members of N.U.S. and their students, the scientist from the U.S. was able to explain that back in the early 1960s, “Walter Munk, one of the world’s most famous oceanographers decided to study the movement of waves in Samoa. He wanted to understand how the huge waves that are generated around the archipelago and the whole South Pacific move across the ocean and whether they decrease in terms of energy”. With this first movement that took place with the support of Samoan chiefs, Walter could prove that “there was almost no loss of energy in the South Pacific, as [the waves] moved all the up to Alaska”. The work of Walter Munk gave way in physical oceanography. But as time goes on and technique improves, researchers like Dr Leinen were able to continue the work that their colleague had begun. “The oceans are the most dynamic environment on our planet. They’re changing very rapidly. 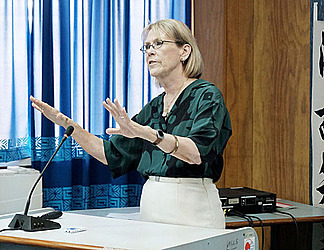 [Samoa] plays a very important role in understanding these changes”, Dr Margaret Leinen explained at N.U.S. 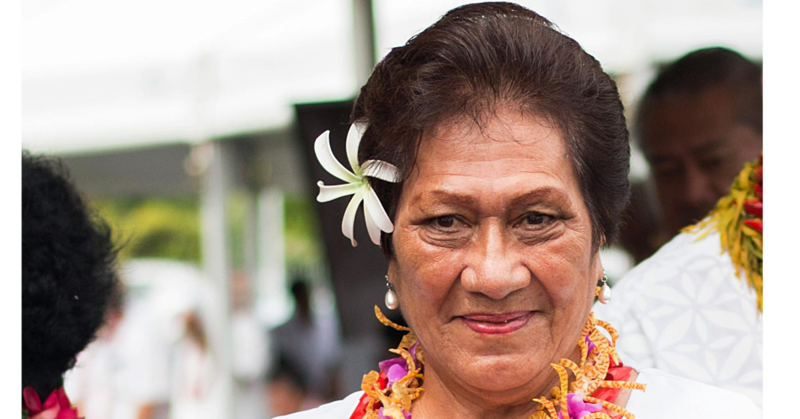 She also pointed out, that among all states, the Pacific islands like Samoa have been quite effective in arguing for intention concerning the variety of problems that show up with climate change in the South Pacific Ocean. Those problematic changes include the well-known greenhouse effect, in which CO2 is released in the atmosphere. The changes our oceans have to face with this is that the water is getting warmed up. Scientists all around the world were able to collect data to proof that “approximately 90 % of the heat generated as a result of climate change”. To collect this huge amount of data, more than 28 countries in the world have so far worked together and used over 4000 so-called “Argo-floats”. These devices, which have the size of a human, are capable to show data just like the water’s amount of oxygen or temperature. The process of ocean warming also entails other negative developments which can be said to have a direct impact on our way of living. Part of this is the acidification of the ocean. “If CO2 is dissolved in the water, then the amount of acid in the ocean increases. This has a big impact on the biology that is found in the ocean”, Dr Leinen told. But apart from all the negative developments, climate change brings to the oceans, which also include the rising of the sea level, there are still hopes the scientist was able to explain. “What gives me a lot of optimism, is the way young people are looking at [the problems]. They’re interested in it and they’re committed to it. They’re using all their social networks to call attention to what climate change does to our oceans”. She also highlighted that finally, the United Nations were able to include the ocean and its biodiversity in their famous list of development goals, which surely attracts attention to the developments in our oceans.